Adopting transracially comes with both exceptional joys and unique challenges. There are many reasons why parents choose to adopt a child from a different race than their own. Some adoption agencies have strict rules surrounding the adoption of Caucasian children that make adopting a Caucasian child more difficult. For example, some adoption agencies will not allow single parents or parents over 40 to adopt a Caucasian child. There is also an increasing number of non-Caucasian children available for adoption. 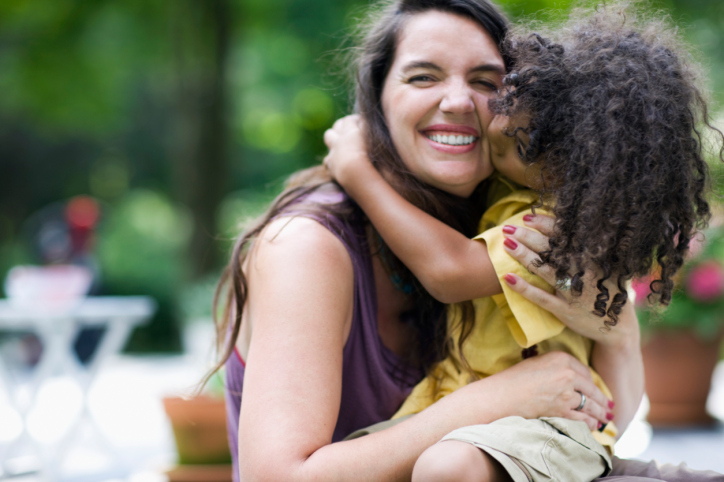 Many parents decide to adopt transracially because they already feel connected to a particular race or culture, whether it is through ancestry or personal experiences. Others simply want to reach out to children in need, regardless of race or culture. Whatever your reason for adopting, it is crucial to take a moment to think about the implications of adopting transracially. Adoption is a life-changing decision for you and your child. The first step of a transracial adoption is to examine your personal beliefs and attitudes about the race of your prospective adopted child. You can refer to last week’s blog to delve deeper into what it means to have subconscious, hidden bias. After examining your personal attitudes towards your adopted child’s race, you can begin to prepare yourself for the possible feelings of being “different.” Some friends, family members, and even strangers see difference as a beautiful and wonderful thing and will be quick to support you. Others are scared by things that are different and may say negative comments or simply stare. Prepare yourself by thinking of ways to react to negative comments that will set a good example for your adopted child and make them feel good about themselves and their multiracial family. As your adopted child grows, the life challenges he/she face may be more difficult. It’s important to constantly show your child how much you love and care for him/her with hugs and positive messages. It is always positive to be available for heart-to-heart conversations or just a simple “check in”. Your child will likely face racial bias many times, and sometimes the feeling of being “different” will hurt. Ask yourself if you are prepared to fully understand these issues. Ask yourself if you are prepared to guide your child through all of their most difficult challenges? Consider the resources you may need as you help your child face difficult challenges. It’s important to consider how culturally and racially exposed you are in your current lifestyle before you make the decision to adopt a child from a different race and culture. Do you live in an integrated neighborhood that has an integrated school? Do you have friends who are from the same race as the child you’re considering adopting? Will your child have access to peers and mentors from their same race and culture? How do you feel about eating cuisine from different cultures? Making the huge commitment of adopting from a different race means you are also ready to make the commitment to alter your lifestyle for the benefit of the child. It’s especially important for your child to be around others from their race so that they can be exposed to their birth culture and learn from good role models. As a parent, you will be feeling the responsibility to make these resources available to your child, even if it means moving to a new neighborhood, making new friends, and developing new taste buds. This entry was posted on Thursday, January 14th, 2016	at 10:17 am	. You can follow any responses to this entry through the RSS 2.0	feed. Both comments and pings are currently closed.